The password is the first word on page 48. If you have made it to this password-protected page, thank you for purchasing Sweet Designs: Bake It, Craft It, Style It! We hope that you are enjoying the book! READ THIS FIRST - IMPORTANT! NOTICE: THESE TEMPLATES ARE FROM SWEET DESIGNS: BAKE IT, CRAFT IT, STYLE IT AND ARE COPYRIGHT © AMY ATLAS EVENTS, LLC 2012. 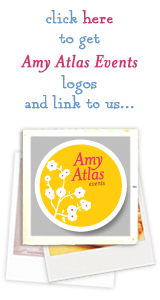 AMY ATLAS EVENTS, LLC RESERVES ALL RIGHTS UNDER COPYRIGHT, INCLUDING THE RIGHT TO THESE DESIGNS, SHAPES, AND TEMPLATES. USE OF MATERIALS IS BY PERMISSION OF AMY ATLAS EVENTS, LLC. AND MAY BE REVOKED. THESE DESIGNS AND TEMPLATES (INCLUDING SHAPES) MAY ONLY BE USED FOR PERSONAL PURPOSES AND CANNOT BE USED FOR BUSINESS PURPOSES OR PROFIT MAKING. YOU HAVE NO RIGHT OR AUTHORITY TO SHARE THESE PDFS OR TEMPLATES, SHAPES, OR DESIGNS ANYWHERE, INCLUDING SHARING THEM ON THE INTERNET. IF YOU DO USE THESE DESIGNS, SHAPES, OR TEMPLATES FOR BUSINESS PURPOSES OR PROFIT MAKING OR IF YOU SHARE THEM ON THE WEB, YOU WILL BE SUBJECT TO A CLAIM FOR COPYRIGHT INFRINGEMENT, WHICH MAY INCLUDE A DAMAGE AWARD OF UP TO $150,000. 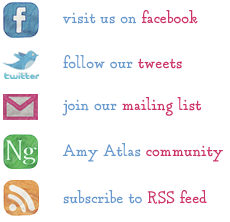 Amy Atlas Events, LLC and Publisher Hyperion require that YOU DO NOT SHARE the password with others or put the password on the web. If you do so, it will diminish the value of the book since others will not have to purchase the book to get templates. PLEASE KEEP THIS PASSWORD PRIVATE. Make sure that you use upper case for the first letter and lower case for the remaining letters in the password. If for some reason it isn't working, email us at [email protected] and we will get back to you right away. Practical Issues - When you are using these templates, make sure to size them at 100% for the appropriate size. Follow the instructions for using the templates on the appropriate pages in the book. Now get baking, crafting, and styling! Enjoy!